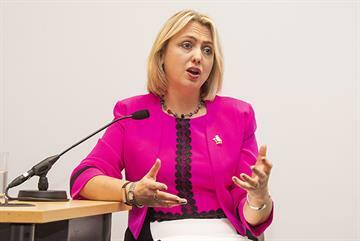 Brain tumours are rare malignancies, accounting for approximately 2-3% of all tumours diagnosed in the UK in 2011 (including tumours of the spinal cord). The incidence of brain tumours has risen over the past decades; this is primarily thought to be because of advances in diagnostic imaging, along with improved tumour registries, rather than reflecting a true increase in incidence. 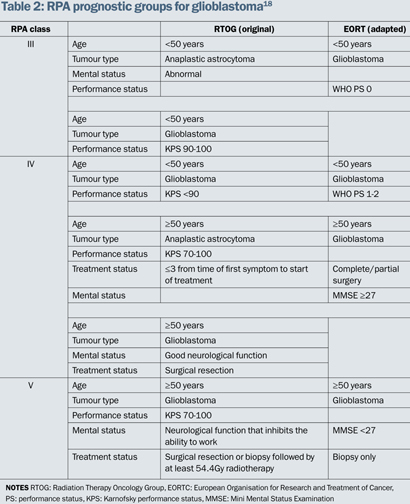 Brain tumours are heterogeneous and are classified by the cell of origin and the tumour grade (see table 1).2 Treatment depends on the tumour subtype, with standard treatment options including surveillance, surgery, radiotherapy and/or chemotherapy. The incidence of brain tumours increases with age, with meningiomas (benign tumours of the brain lining) occurring more commonly in women and invasive malignant gliomas, also known as glioblastomas, more commonly in men. Genetic predisposition to brain tumours is rare, although there are some documented familial conditions which confer an increased risk of developing CNS tumours. These include neurofibromatosis, tuberous sclerosis complex, Li-Fraumeni syndrome, Von Hippel-Lindau syndrome, Turner syndrome, Turcot syndrome and Gorlin syndrome. There is evidence of a hormonal effect in the case of meningioma, with some studies showing an increased risk in women taking the oral contraceptive pill or HRT.6,7 Despite extensive work on the aetiology of brain tumours, the main causative incident has still to be identified. Brain or spinal cord tumours represent a wide variety of tumour types, with differing behaviour and a variety of treatment modalities. This article focuses on management of glioblastoma, which has the greatest implications for primary care. 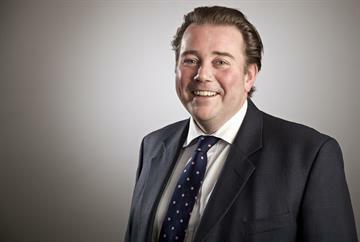 Making the initial diagnosis of a brain tumour can be difficult. Primary tumour associated symptoms are mostly non-specific and can mimic those of benign causes. Confusion and altered cognition are common presenting symptoms for patients with glioblastoma. This symptom can be difficult to distinguish from other causes of confusion, particularly in elderly patients with confounding comorbidities. A 'first fit' occurring in patients over the age of 50 years should always raise suspicion of an intracranial malignancy. Other frequent neurological symptoms include those related to the tumour location, for example, paraplegia, dysphasia, visual impairment or personality changes. A full neurological examination is necessary, including an assessment of the patient's cognition, a deficit often disregarded as too non-specific. The cornerstone of establishing the correct diagnosis in brain tumours is imaging. 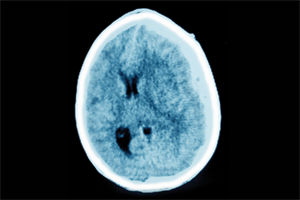 Patients are often initially diagnosed on emergency CT scans that identify an abnormality in the brain tissue (with or without associated oedema, bleeding or calcification). However, the standard of care requires an MRI to characterise the extent and nature of the space- occupying lesion. MRI also guides surgical planning, aiming to establish a pathological diagnosis, and helps to identify satellite lesions or gliosis - diffuse abnormality of a wider area of the brain. 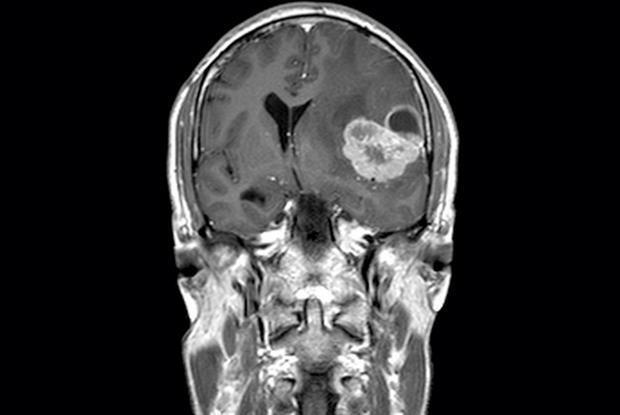 Histological diagnosis is mandatory in most patients with a suspected malignancy of the brain. Biopsy only may be considered in tumours located in eloquent areas of the brain, but it has been shown that surgical debulking, ideally a macroscopic complete resection of visible disease on imaging, improves outcomes. Histology defines treatment and thus prognosis. Another prognostic marker is isocitrate dehydrogenase 1 and 2 (IDH1/2).9 Mutations in this gene give an indication that the tumour has most likely arisen in a lower-grade tumour which has undergone malignant change. Such tumours are referred to as secondary glioblastoma and carry a better prognosis than primary de novo glioblastoma. Detailed assessment of the patient's clinical and neurological condition is required before treatment. 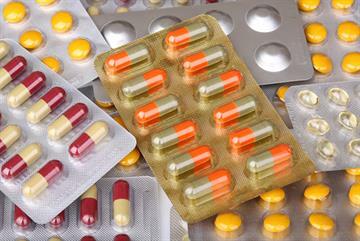 Corticosteroids are often given before surgery to help control acute tumour-related symptoms. Cognitive testing is essential at all stages as patients with substantial cognitive deficits have worse outcomes. The most common tumour treated by (adult) neuro-oncologists in the UK is glioblastoma. 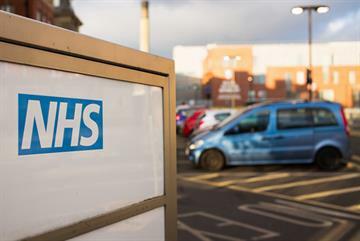 Patients require intense input from a range of clinical services, including GPs and the primary care team. One of the cornerstones in the treatment of patients with glioblastoma is surgery. Maximal safe debulking is the goal, aiming for a gross total macroscopic resection if clinically achievable. Cortical mapping may be used to aid maximal resection with minimal risk to the patient of a permanent postoperative neurological deficit. Surgical intervention allows the acquisition of tissue to establish the histopathological diagnosis and assessment of prognostic molecular markers (IDH1, MGMT). Following surgery, patients are discussed by the site-specific multidisciplinary team, when further treatment strategy is defined. In some cases, depending on the clinical circumstances and the patient's wishes, treatment may consist of best supportive care, led by the GP and the community palliative care team. Despite many studies, no other chemotherapy agent has been shown to improve overall survival first-line in patients with glioblastoma. Glioblastomas have been the target of a number of trials using personalised vaccines, such as dendritic cell tumour adaptive vaccines, and off-the-shelf targeted vaccines, such as rindopepimut. Early data show some encouraging positive signals, but dendritic cell and targeted vaccines remain experimental options and are the subject of international trials. These results are awaited. It is known there are abnormalities along multiple pathways of the cell cycle in such tumours. Current phase 1 studies target the PI3K pathway, among others. The role of poly (ADP-ribose) polymerase inhibition is also under investigation. Recent successes in immune checkpoint modulation in other solid tumours have sparked an interest in such therapies in glioblastoma; several studies are investigating the role of PD-1 and CTLA-4 inhibition. The prognosis for patients with glioblastoma depends on several factors that have been grouped into a recursive partitioning analysis (RPA). Follow-up should be managed in the multidisciplinary setting, with close links to primary care. Regular imaging may be performed on an outpatient basis if further treatment is considered in recurrent disease. The input of local rehabilitation services is vital in patients with focal deficits, to preserve remaining function. Judith is a 32-year-old woman who presented to A&E in July 2013 with severe frontotemporal headache, vomiting and slurred speech. Her headaches had begun two months before admission, but had worsened over the previous three weeks. A CT scan of her brain demonstrated a right temporoparietal mass, with evidence of midline shift. An MRI of her brain confirmed the presence of an isolated lesion and Judith later underwent a right temporal craniotomy with maximum tumour removal. Histological examination confirmed it to be consistent with a glioblastoma (WHO grade IV). 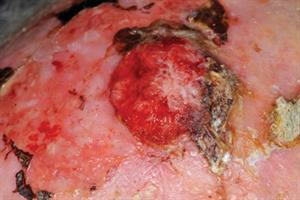 The tumour was MGMT-methylated and IDH mutation-negative. Postoperative MRI showed macroscopic complete resection of the contrast-enhancing tumour elements. Judith commenced a six-week course of radiotherapy with concomitant temozolomide chemotherapy. She tolerated the treatment well and in November 2013, began six cycles of adjuvant temozolomide. Following completion of adjuvant chemotherapy, a follow-up MRI scan in May 2014 showed no evidence of tumour. Judith preserves her excellent performance status and has returned to work. She continues to be monitored with repeat scans to detect early disease progression. 2. Louis DN, Ohgaki H, Wiestler OD et al. 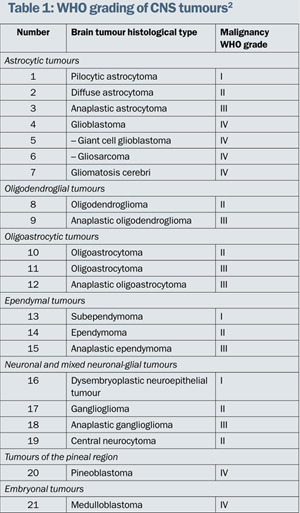 WHO Classification of Tumours of the Central Nervous System. ARC, Lyon. 3. Cogliano VJ, Baan R, Straif K et al. J Natl Cancer Inst 2011; 103: 1827-39. 4. Mandelzweig L, Novikov I, Sadetzki S. Cancer Causes Control 2009; 20: 1927-38. 5. INTERPHONE Study Group. Int J Epidemiol 2010; 39: 675-94. 6. Blitshteyn S, Crook JE, Jaeckle KA. J Clin Oncol 2008; 26: 279-82. 7. Qi ZY, Shao C, Huang YL et al. PLoS One 2013; 8(12): e83261. 8. Hegi ME, Liu L, Herman JG et al. J Clin Oncol 2008; 26: 4189-99. 10. Roder C, Bisdas S, Ebner FH et al. Eur J Surg Oncol 2014; 40: 297-304. 12. Malmstrom A, Gronberg BH, Marosi C et al. Lancet Oncol 2012; 13: 916-26. 13. Stupp R, Mason WP, van den Bent MJ et al. N Engl J Med 2005; 352: 987-96. 14. Vredenburgh JJ, Desjardins A, Herndon JE et al. J Clin Oncol 2007; 25: 4722-9. 15. Chinot OL, Wick W, Mason W et al. N Engl J Med 2014; 370: 709-22. 16. Batchelor TT, Mulholland P, Neyns B et al. J Clin Oncol 2013; 31: 3212-18. 17. Phillips HS, Kharbanda S, Chen R et al. Cancer Cell 2006; 9: 157-73. 18. Mirimanoff RO, Gorlia T, Mason W et al. J Clin Oncol 2006; 24(16): 2563-9. 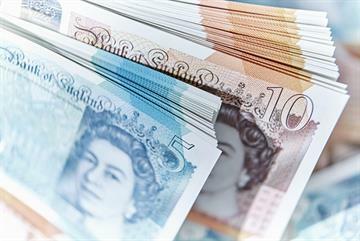 By Dr Scheryll Alken, neuro-oncology clinical research fellow, Dr Miles Payling, neuro-oncology SHO and Dr Frank Saran, consultant clinical oncologist, The Royal Marsden Hospital, London (NHS and Private Care). Review the NICE guidelines on brain tumours. Explore the different patient assessment tools available for assessing the patient's level of cognition. Investigate the latest clinical trials for glioblastoma therapies and write a guide for patients about treatment options.